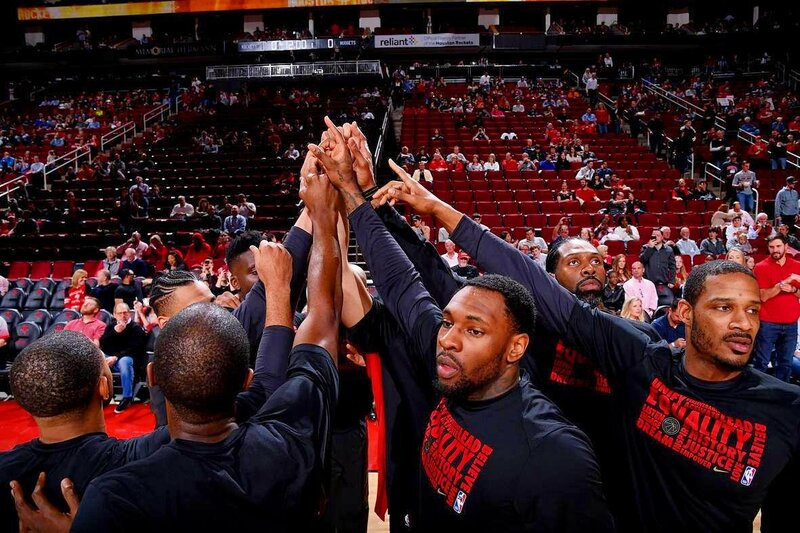 Tonight the Houston Rockets made the mistake of looking past a young, hungry and well-coached Dallas Mavericks team. The Mavs may have been missing Wesley Matthews, Dirk Nowitzki, Nerlens Noel and Seth Curry, but a team with a head coach as good as Rick Carlisle knows how to sneak up on someone if their guard is down. The Rockets took the Mavs lightly, they clanked shot after shot, and they let the Mavs into a game they should have been a massive blowout. Also, they won easily. This was a game that wasn't fun to watch and didn't look very fun to play in. The Rockets shot 43.6% overall and a dismal 29% from behind the arc. Harden shot 6-19 and generally had an off night. It still wasn't close for much of the game. The only reason the Mavs lost by single digits was that Houston's garbage time lineup gave up several points in an hurry. The Rockets were never in danger of losing this game, and that's a luxury very, very few teams ever enjoy. When Chris Paul is available to pick up the slack on any given night, there's not much slack to go around. He played a team-high 35 minutes and was essential in those minutes. He shot 60% from the field to go with 8 rebounds, 9 assists and 3 steals. Unsurprisingly, he was the only player on the court with a +/- higher than +7 with an impressive +22. Deep lottery teams like the Dallas Mavericks simply have no realistic way to compete with the Rockets as long as Chris Paul and James Harden are healthy. 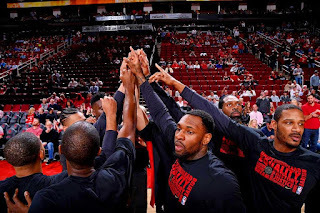 There's not much else at stake in a game in which the Rockets could choose their score but instead chose to give just as much effort as was necessary. They've achieved a level that few teams ever do, and it's an astonishing sight to behold. Wait, no. Ryan Anderson dunked again. That's the real story of the game.